SWS Rockets Roller Derby: Derby Girls Need Funds Too ! 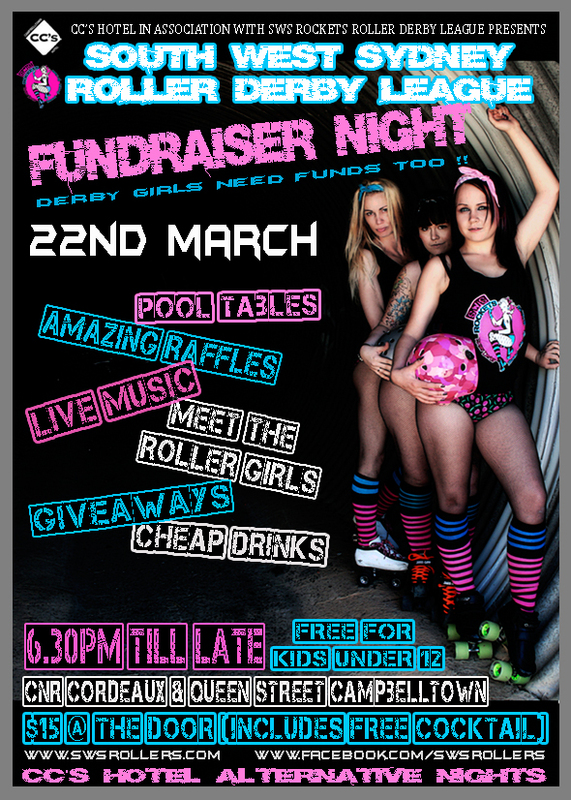 Derby Girls Need Funds Too ! SWSR are hosting a Fundraiser and everyone is invited !! We cant wait to see you all there !! With a very talented performer, Johnathon Devoy, currently Number #1 on iTunes, will be at the event, sharing his vocal talent live on stage with the audience. Entry is $15 which includes a free drink, Kids under 12 are free so you can bring the whole family ! !